Deputy First Minister Nicola Sturgeon has left her post as health secretary in a cabinet reshuffle announced today by Alex Salmond. Ms Sturgeon, Scotland’s longest serving health secretary, will now become cabinet secretary for infrastructure, investment and cities. Her role as cabinet secretary for health and wellbeing will be assumed by Alex Neil. She will combine her new post with responsibility for government strategy and the constitution, previously a full cabinet position held by Bruce Crawford. This role will see her driving the SNP government’s independence campaign. Ms Sturgeon commented on her move on Twitter. She said: “It has been a privilege to have been Health Sec – my thanks to all the wonderful people I have worked with. We are so very lucky in our NHS. The reshuffle was caused by the retirement of Mr Crawford along with two ministers, Brian Adams who was minister for parliamentary business and the Minister for Environment and Climate Change Stewart Stevenson. Mr Adams will be replaced by Joe Fitzpatrick, MSP for Dundee City West while Paul Wheelhouse, MSP for South Scotland, will take over from Mr Stevenson. Opposition politicians have accused First Minister Alex Salmond of giving the Scottish independence campaign priority over Scotland’s well-being. The comments follow Mr Salmond’s decision to move his deputy Nicola Sturgeon from her post as health secretary to spearhead the government’s referendum campaign. 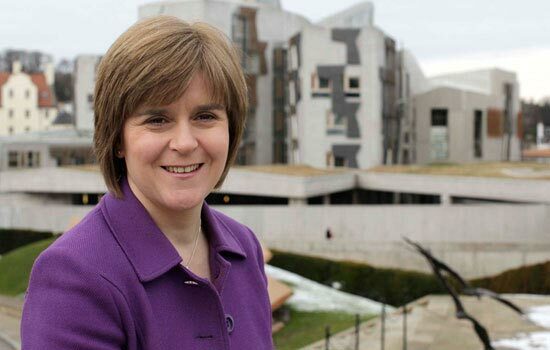 Critics have hit out at the move dubbing Ms Sturgeon the “minister for independence”. The Scottish Lib Dem leader, Willie Rennie, said: “This reshuffle shows that the SNP government only has eyes for independence. They are more interested in running the referendum than running the country. We have repeatedly warned that the SNP would use the power of Government to split Scotland from the rest of the UK. “That the health of the nation now plays second fiddle to the break-up of Britain says it all about this SNP administration. “The First Minister has moved his most trusted lieutenant from one of Scotland’s most critical briefs to pursue his narrow nationalist agenda. 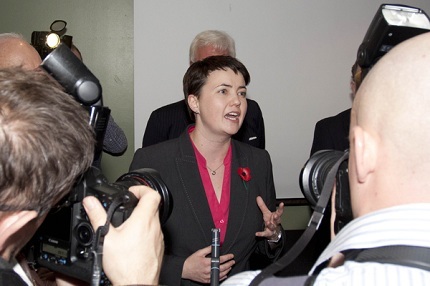 However, the Scottish Green Party were more conciliatory in their response with co-convener Patrick Harvie urging ministers to make the most of their new posts. Mr Harvie said: “We welcome the focus on building the case for independence and promoting economic recovery, and urge the Scottish Government to be bold. Nicola Sturgeon needs to build a positive, compelling vision of a more equal and forward-thinking Scotland rather than trying not to scare the horses.